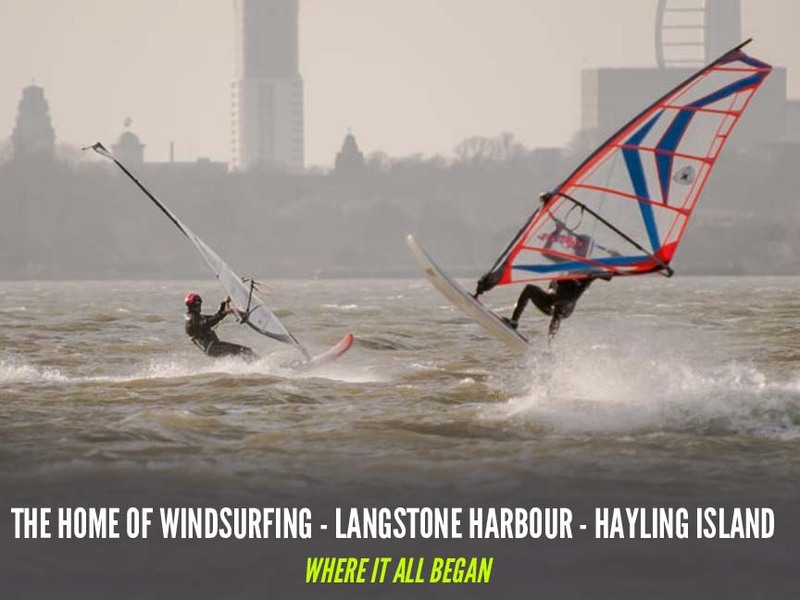 Known well by the Islanders but less so on the mainland and beyond is the fact that Hayling Island is the birth place of Windsurfing. It’s a remarkable story and there is very little visual evidence to attest to this around Hayling. An innocuous little path along side the Esso petrol station on the Havant Road leads to a car parking area where surf dudes still park their campers and their day vans before donning wetsuits and assembling their boards. This is the spot from where it all started in 1958. A safe and shallow inlet here allowed young Peter Chilvers to trial his invention of a surf board attached to a free sail. Ten years on and Peter was involved in a court case that not only dramatically proved that his idea was the original but also that his case led to the setting of precedents in Patent Law regarding inventiveness. This is now known as The Windsurfer Test.